We have a long lasting relationship with Europe – containing one of the leading fashion weeks in the world – London Fashion Week. which is known for its emerging talent, clean aesthetic, and impeccable tailoring. 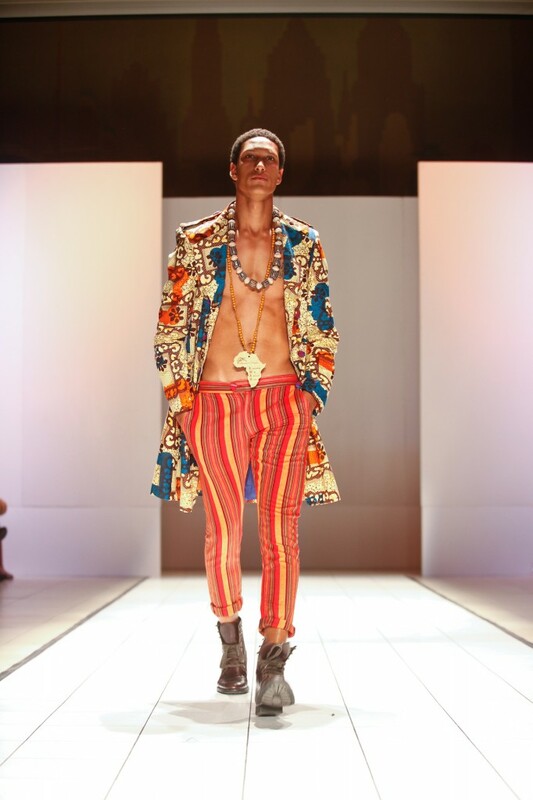 To this extent, some may believe that men’s fashion is mundane; hardly leaving room for its expansion beyond impeccably cut suits or fitted T-shirts (graphics or plain).However, these African fashion designers create male fashions: clean cut yet edgy, immersed in the conventional yet simultaneously disregarding it. To put a spin on why each designer was selected, we took the overall characteristics of each design aesthetic and found some resemblance to what we would require in a male mate (in a romantic sense). After all, we love what we wear…. (we believe that’s how the saying should go). Truthful: True to fit, Eaden Myles collections are fitted and form flattering to males of varying physic. Tailored: We understand men go through their developmental stages. We respect that, however in true male fashion every real man must go through this process of refinement. Much like the fashions from the fashion house Maze Couture . Maze Couture takes a refined perspective towards the Kaftan, a traditional garb, and modernizes it for the everyday fashionisto.